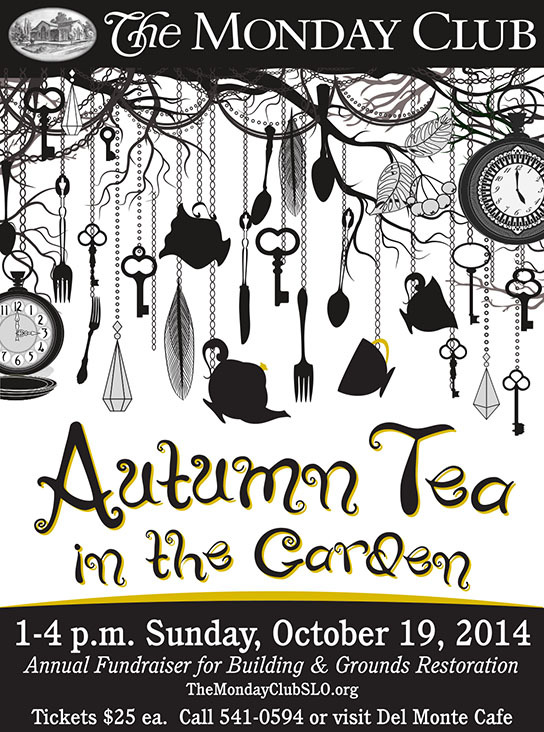 The women of The Monday Club are hosting their annual Autumn Tea in the Garden. 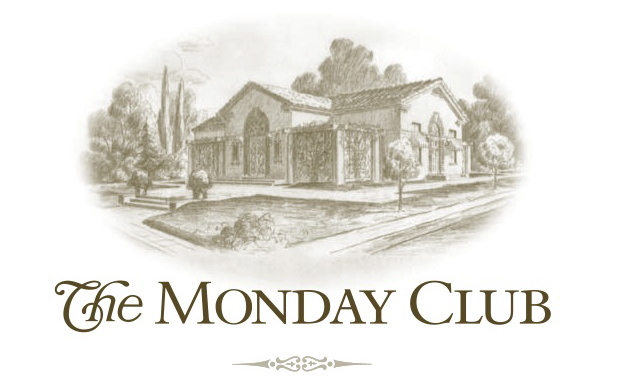 Please join them for this delightful event in the historic Julia Morgan designed building and gardens. Traditional high tea fare will be served, including tea sandwiches, scones, petit fours, and fresh berries and cream.The afternoon will include musical entertainment by Dan Murry and Linda Wilson, a silent auction and sale of assorted garden gifts. Proceeds from this fundraiser will be used for building and grounds restoration. Tickets are $25 per person, or $200 for a table for eight. Sponsorship for a table for eight includes a floral arrangement to take home and each place setting receives custom made chocolates from Mama Ganache. Tickets are available by calling 541-0594, at the Del Monte Cafe (1901 Santa Barbara Ave., SLO), at SLO Consignment (181 Tank Farm Rd., SLO), or on-line at Brown Paper Tickets.